Johann Sebastian Bach (March 21, 1685 - July 28, 1750) is considered by many to have been the greatest composer in the history of western music. 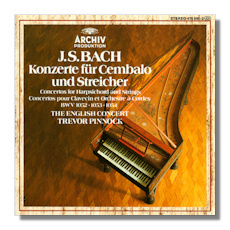 Bach's main achievement lies in his synthesis and advanced development of the primary contrapuntal idiom of the late Baroque, and in the basic tunefullness of his thematic material. He was able to successfully integrate and expand upon the harmonic and formal frameworks of the national schools of the time: German, French, Italian and English, while retaining a personal identity and spirit in his large output. 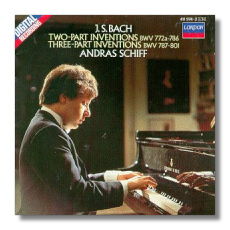 Bach is also known for the numerical symbolism and mathematical exactitude which many people have found in his music – for this, he is often regarded as one of the pinnacle geniuses of western civilization, even by those who are not normally involved with music. Bach spent the height of his working life in a Lutheran church position in Leipzig, as both organist and music director. 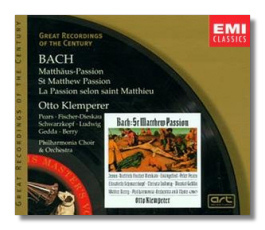 Much of his music is overtly religious, while many of his secular works admit religious interpretations on some levels. 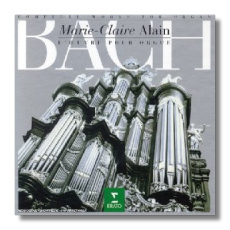 His large output of organ music is considered to be the greatest legacy of compositions for the instrument, and is the measure by which all later efforts are judged. 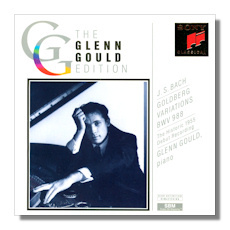 His other solo keyboard music is held in equally high esteem, especially for its exploration of the strictly contrapuntal fugue; his 48 Preludes and Fugues (The Well-Tempered Clavier) are still the primary means by which these forms are taught. His other chamber music is similarly lofty, the sets for solo violin and solo cello being the summits of their respective genres. 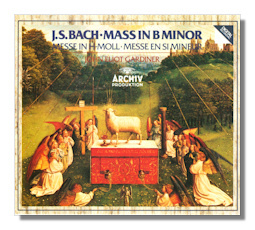 Bach's large-scale sacred choral music is also unique in its scope and development, the Passions and B Minor Mass having led to the rediscovery of his music in the 19th century. 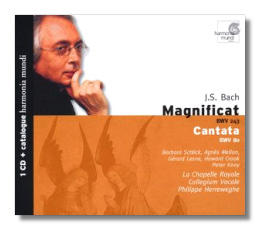 His huge output of cantatas for all occasions is equally impressive. 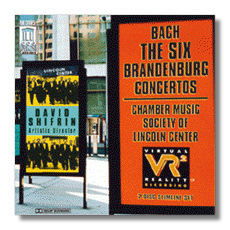 His large output of concerti includes some of the finest examples of the period, including the ubiquitous Brandenberg Concertos. 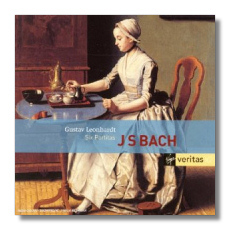 Bach came from a family with demonstrable musical talents documented at least as far back as the mid-16th century: of the seven generation of Bachs – beginning with the first-known professional musician, Veit Bach (c. 1555-1619) and ending with William Friedrich Ernst Bach (1759-1845) – less than ten of them choose a profession other than music. 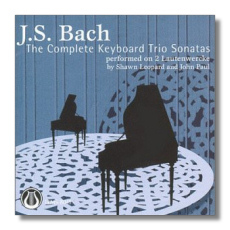 The Bach family's identification with music is unparalleled in Western music, as is the genius of Johann Sebastian. He was the youngest child of Johann Ambrosius Bach (1645-1695) and Elisabeth Lammerhirt (1644-1694); by the age of ten, his father had died and many members of the household were dispersed to other more financially stable branches of the family. Bach himself together with his brother Jacob, moved from Eisenach to live with his eldest brother Johann Christoph in Ohrdruf. In early adolescence Johann Sebastian suffered from poor health which led to an erratic attendance at school, but his outstanding boy soprano voice won him admiration and at the age of fifteen he was recommended for a position in the choir of Michaeliskirche in Lüneburg, a town more than 200 miles away. There, remote from his family, he struck up a friendship with the composer-organist Georg Böhm, a man twenty years older than himself and willing to give him material and artistic guidance. Bach's musical education was aided by his lifelong passion for studying other composer's music in manuscript and drawing his own musical lessons from what he discovered. His interests were unusually wide, and he found as much pleasure and inspiration in François Couperin as he did in German or Italian composers. 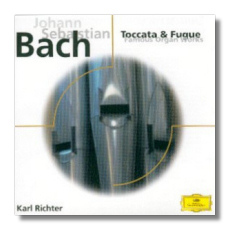 This intense study eventually produced the young Bach's first efforts at composition, a set of variations; with his first organ appointment at Arnstadt's Bonifaciuskirche in 1703-04, he wrote his first cantatas and a number of preludes and fugues. 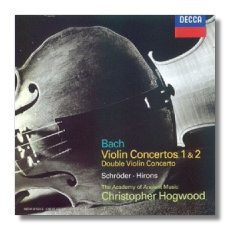 These early works show him already in the possession of unusual melodic inventiveness within the strict forms he used. 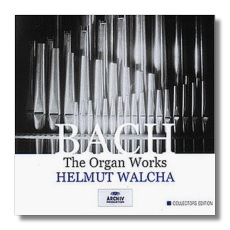 Church work was for Bach the ideal form of employment, for it combined his intense religiosity with the opportunity to create music for voice and organ in particular, the organ being his first and final fascination. 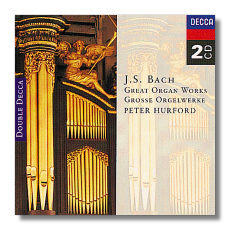 In autumn 1705, Bach secured a one-month leave of absence from Arnstadt and traveled on foot to Lübeck in order to study with the renowned Danish-born German organist and composer Dietrich Buxtehude, one of the foremost living German musician and composer and whose organ music greatly influenced Bach's. 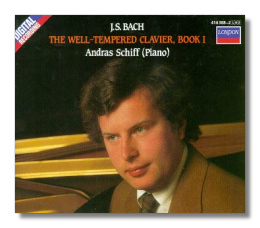 The visit was so rewarding to Bach that he overstayed his leave by two months. 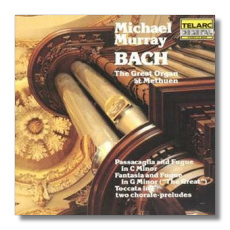 He was criticized by the church authorities not only for this breach of contract but also for the extravagant flourishes and strange harmonies in his organ accompaniments to congregational singing, and when his young cousin Maria Barbara (later his wife) was found to be singing in the church choir at Bach's behest, he found himself in further trouble. He was already too highly respected, however, for either objection to result in his dismissal. Within a few months he resigned and moved to a more prestigious position at Blasiuskirche in Mühlhausen. In October 1707 he and Maria Barbara were married; they had their first baby, a daughter, the following year. Yet the appointment at Mühlhausen proved unsatisfactory both financially and theologically. Early in 1708 he accepted an appointment as Hof-Organist and Kammer-Musikus to Duke William Ernst of Weimar. This was hardly the top position within the Court's musical circles, but it was preferable to the situation at Mühlhausen. In Weimar he composed about 30 cantatas, including the well-known funeral cantata God's Time Is the Best, Passacaglia and Fugue in C minor, BWV 582, Orgelbüchlein and also wrote organ and harpsichord works. He began to travel throughout Germany as an organ virtuoso and as a consultant to organ builders. His performance of these and other works earned him a reputation far beyond the environs of Weimar. 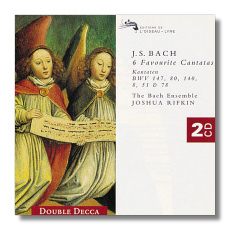 His tasks became more specific (including the monthly delivery of new cantatas) and his duties more onerous. 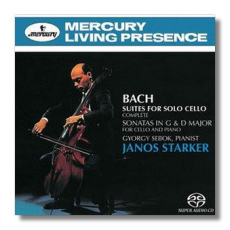 Bach felt his situation to be intolerable; he had now four children and was dissatisfied with his family's standard of living. He seemed to lack courtier's ability to deal advantageously with such situations, and when he was passed over in 1716 he took the opportunity to move on, this time to become Kapellmeister in the newly-established household of Duke of Weimar's son, Duke Ernst August, who had married and moved to Cöthen, where the bride's father, Prince Leopold, was a great music lover. 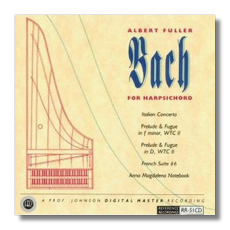 However, Duke Wilhelm August did not give Bach up without some unpleasantness: determined to humble his proud and plain-speaking musician, he refused to give Bach permission to leave his employ, actually keeping the composer under arrest for over a month before finally relenting and allowing him to move to Cöthen. There, the demand was for chamber music in which Prince Leopold could play an active role. 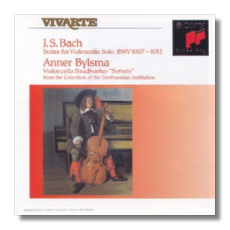 Thus Bach composed a series of suites, overtures and concertos as well as sonatas and other small ensemble pieces. 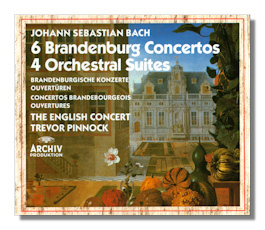 These were to include the four orchestral suites, the Brandenburg Concertos (so-called because they were dedicated to Duke Christian Ludwig of Brandenburg) and the beautiful Violin Concertos, BWV 1041/2/3, 1064/5, which were modeled on works by Italian composers (such as Antonio Vivaldi) whom he so admired. These were relatively stable, happy years for Bach and his family, but obliged to accompany the Prince on a trip to Carlsbad in 1720, he found on his return that his wife had died and was already on her grave. From then on his desire to leave the Court became steadily more urgent, especially when in 1721 his patron married a young woman with little musical inclination and a determination to leave her husband into other diversions. Bach himself had remarried: his new wife Anna Magdalena Wilcken, a fine singer and daughter of court musician, was just 20 (Bach was now 36) and required to act as stepmother to Bach's children whose education was proving problematic in a town where the best school was Calvinist. This situation made the post as Cantor of the Thomasschule in Leipzig very appealing when it fell vacant in 1722. 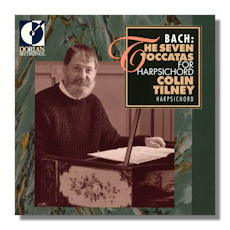 Bach was not first or even second choice for the position – both Christoph Graupner and Georg Philipp Telemann were offered it but had to decline. 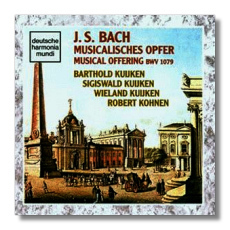 Nearly a year after the appointment was originally advertised, Bach took up the position, pledging in his contract not to supply music which was 'too theatrical' or 'too operatic'. 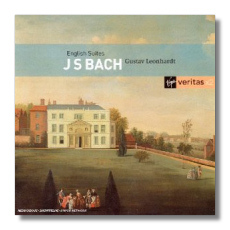 Bach new responsibilities including teaching various groups of scholars at the school, composing music for two churches, St. Thomas and St. Nicholas, and providing the occasional piece of music for the local university. He also had to ask permission from the Council if he wished to absent himself from Leipzig for any reason. The situation must have been very bad at Cöthen for Bach to agree to these conditions. Yet he was to remain in this post for the rest of his life, and although his pride and sense of self-worth led him into regular and bruising contact with the various authorities to whom he was responsible, he never became disenchanted enough to resign. Despite endless arguments between himself and the Thomasschule appointees over whose empire ended where, Bach continued to produce sublime music throughout the decades he was in Leipzig, and his eminence was recognize by various admirers, including the King Elector of Poland-Saxony, who in 1736 awarded him the coveted title Koniglicher Hof-Componist. His son Carl Philipp Emanuel, then 26, became attached to the Court of the music-loving (and amateur flautist) Frederick the Great of Prussia 1740. In 1741 Bach visited his son in Berlin, Frederick's capital, and six years later he was invited to attend on Frederick at Potsdam. 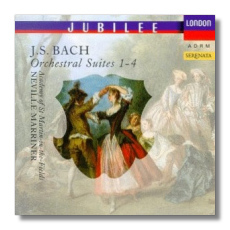 Thus, in May 1747 "Old Bach", as Frederick fondly called him, arrived and was presented to the King. The meeting was a complete success, Bach overwhelming Frederick with his ability to extemporize at the keyboard on demand. On his return to Leipzig, Bach took one of Frederick's own themes used during the meeting and developed it into the famous A Musical Offering, dedicated (in June 1747) to "a monarch admired in music as all in the other sciences of war and peace". 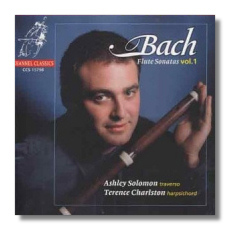 Bach was now in his sixties, and his general health had begun to follow the course of his eyesight, which had been damaged irreparably by the years of studying music by candlelight. By 1749 he was completely blind, which greatly hindered his efforts to complete the works he left to be his last. 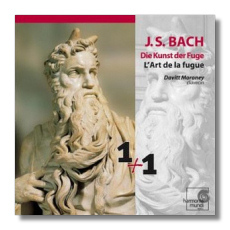 Among the many pieces left incomplete at his death (although heavily revised) was the famous Die Kunst der Fuge (The Art of Fugue); a set of fugal pieces which has fascinated musicians and commentators ever since. The great man, age 66 when he died, was buried in an unmarked grave near the south door of Leipzig's Johanneskirche. In the late 19th century his grave was rediscovered during building work. His ashes were moved inside the church where they are now marked by the somewhat undemonstrative words, "Johann Sebastian Bach, 1685-1750". 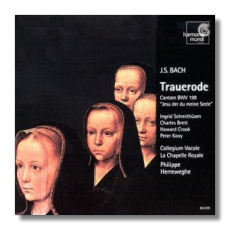 In Bach, Baroque polyphony reached its apotheosis and – at least to the succeeding generation – its point of exhaustion, for by the time of his death his music had already fallen a long way behind the forefront of musical fashion. His achievements were to languish in obscurity for close to 100 years before the efforts of others, particularly Mendelssohn, revealed Bach's genius to a wider world. 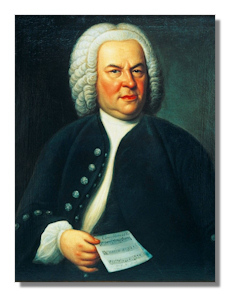 Bach was not innovator and no iconoclast: what he revered above all was musical truth and beauty, and he was ready to appreciate these wherever he came across them – from the manuscripts of older Italian masters to the extemporizations of fellow Germans. His musicality was complete and all-embracing, and only his temperament and his natural inclination to regard music as an adjunct to his religion restrained him from composing for the theatre (as did his contemporary Handel). 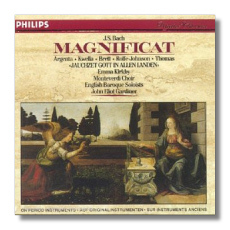 His oratorios demonstrated his complete grasp of what is required to write convincingly for voices and orchestra. 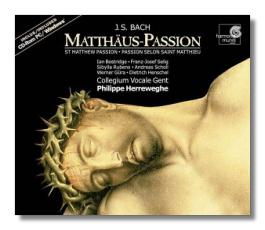 The connection between religion and music can not be overstressed: Bach invariably added homilies to God or Jesus at the beginning or end of his scores, even when they were modest chamber pieces or exercises for his children and students. 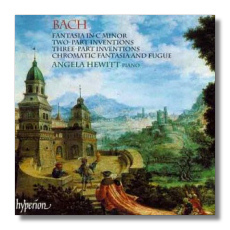 Bach's music is a colossal summation of the tradition in Western music which led to his mature style: his genius allowed him the perfect synthesizing power to create the multitude of masterpieces which came from his pen. 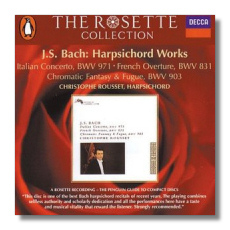 In the body of work which is so crammed with significant achievements, the selection of key works means that many fine or important pieces of music will go unremarked, but this leaves much for the reader to explore after initial contact. Perhaps the most instructive and entertaining place to start is at the keyboard. 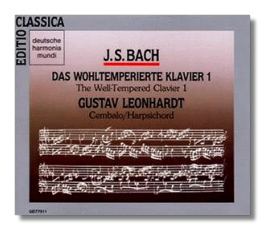 Das Wohltemperierte Klavier (The Well-Tempered Clavier) contains two books of 48 preludes and which are an object lesson in what Bach set out to achieve in his music. The use of a single instrument also helps the listener to follow more closely the musical imagination at work. 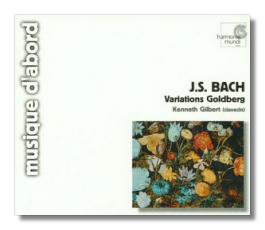 A subsequent keyboard piece with equal rewards is the Goldberg Variations (BWV 988), completed in the early 1740s at much the same time as the second book of Das Wohltemperierte Klavier. 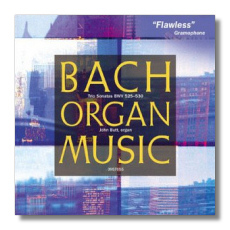 The great mass of organ works can be approached through such pieces as the Toccata & Fugue in G minor (BWV 542), Passacaglia & Fugue in C minor (BWV 582) and the Preludes & Fugues in A minor and C Major (BWV 543 & 545). The Orgelbüchlein (Little Organ Book, BWV 599-644), contains 48 pieces which explore a wide range of the organ's sonic and musical repertoire. 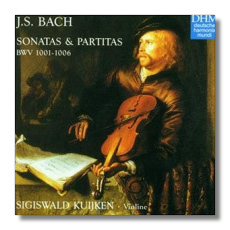 In terms of solo instrumental music, the other key works are the astonishing and very beautiful Suites for cello (BWV 1007-1012) and the virtuoso Sonatas & Partitas for violin (BWV 1001-1006). 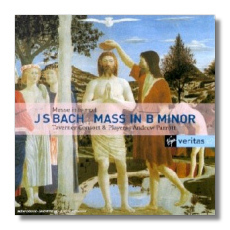 Apart from 295 cantatas Bach wrote during his lifetime, of which they are numerous favorites, his St. John and St. Matthew Passions are deeply-felt recountings of the gospels which cannot fail to move the listener, while the Christmas Oratorio and Mass in B minor (BWV 232) demonstrate Bach's ability to deal profoundly with such occasional pieces.